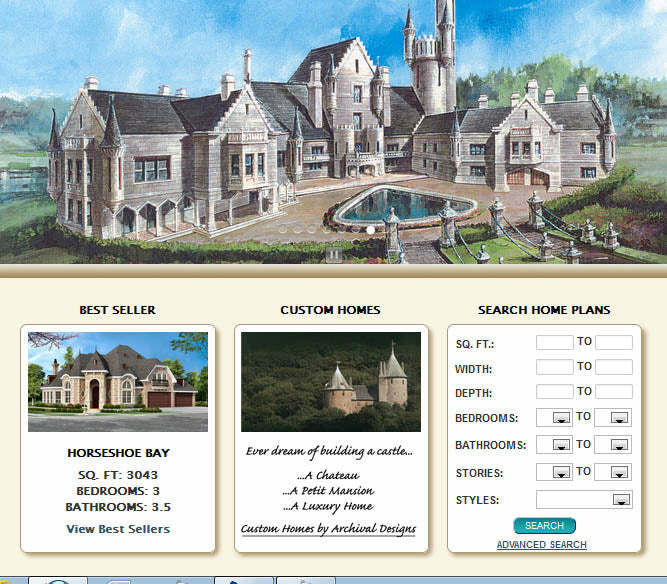 On October 13, 2006, Archival Designs updated its website with new offerings. Today we have upgraded again, and believe this new, modern website will be more helpful to you. We have continually upgraded, but now we have totally rebuilt our site and invite you to take a look. It features a fresh, modern design that makes it easier than ever for you to get in touch with us to ask questions about your own project, or just see how we've expanded our capabilities to provide you with a more complete service offering. 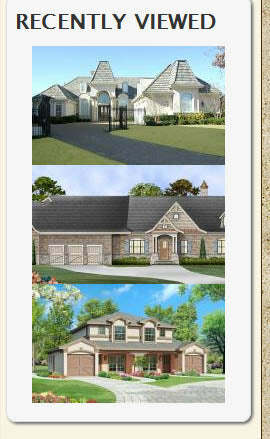 We have added new functionality to the website, including photo galleries for each of our styles. Search Best Sellers, New Releases and special styles, or use our advanced search to find detailed specifics. 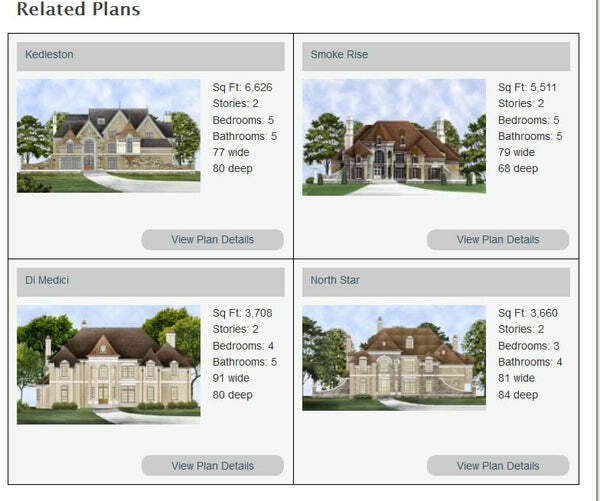 Related plans are now on the same page with the plan you are studying - for comparison. Each plan's complete information is displayed on one page without opening multiple windows for one plan. Recently viewed plans are now shown to you for your convenience in maintaining your favorites. 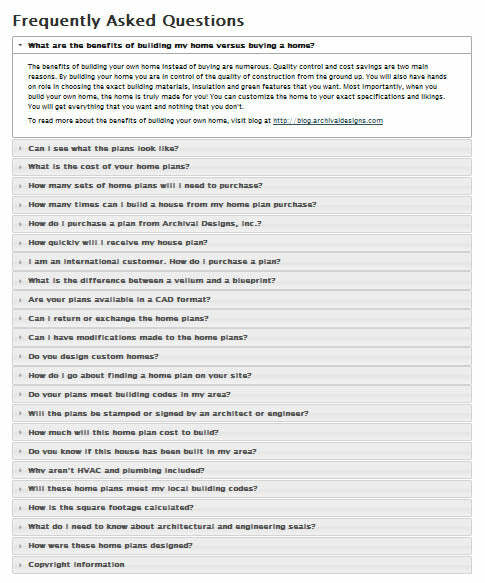 The Plans FAQ section is much more aesthetic and offers ease in searching for answers to those questions you may have. If you have any comments, questions, or suggestions, please don't hesitate to contact us to let us know. Our clients are our most treasured assets; we value your input, and hope to one day be able to call you our client, too.